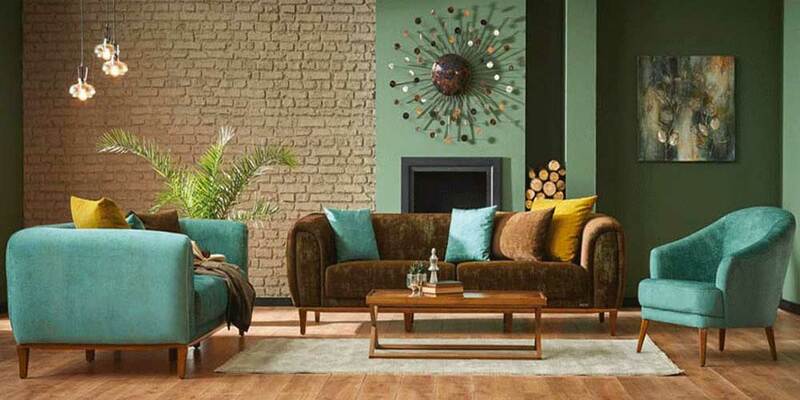 Living room decoration is one of the most comprehensive articles about the decoration of the living room decorating ideas 2019 and suggestions are waiting for you in this article. 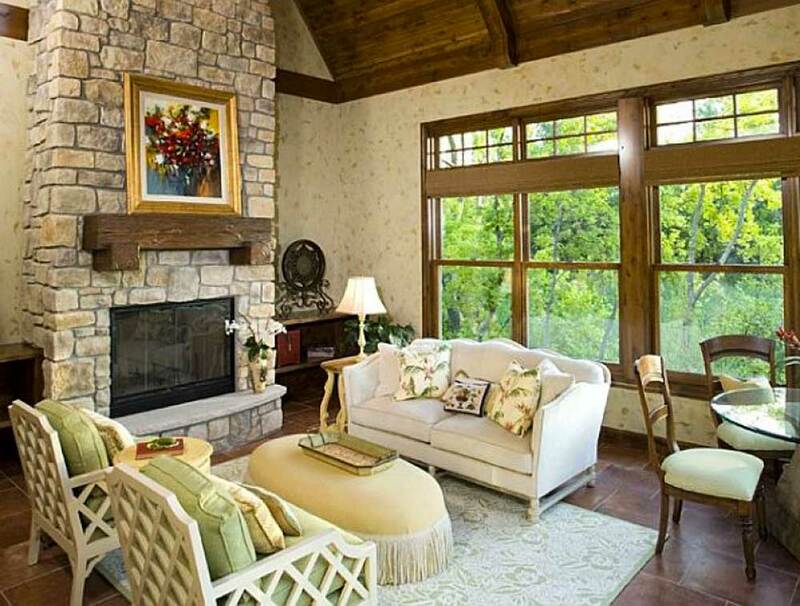 We spend most of our time in this room at home, and we socialize here with our family and friends. It is important to us that this room, which carries our most beautiful memories, is pleasant and livable. 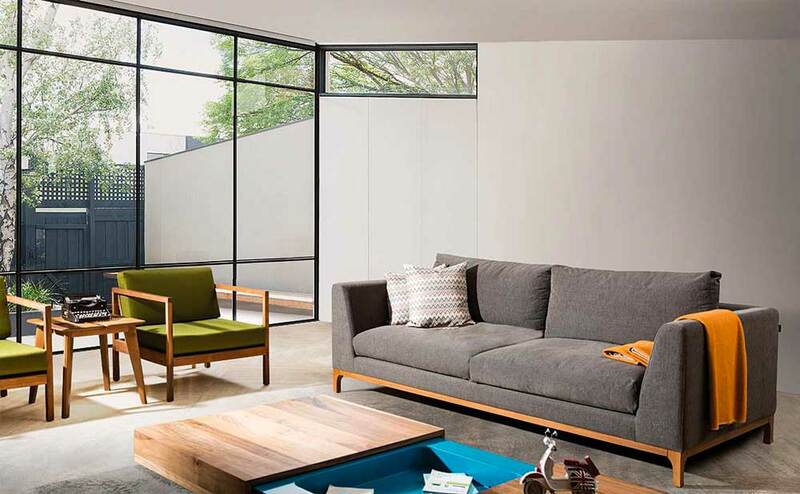 As the subject of the living room design is a little long, we have covered this article in six main topics. We examined the furniture, accessories, lighting, floor and ceiling subjects and shared ideas and tips in the form of items. Home decoration is a passion that excites people. “Will it be nice? “You should know to leave aside thinking and enjoy yourself. 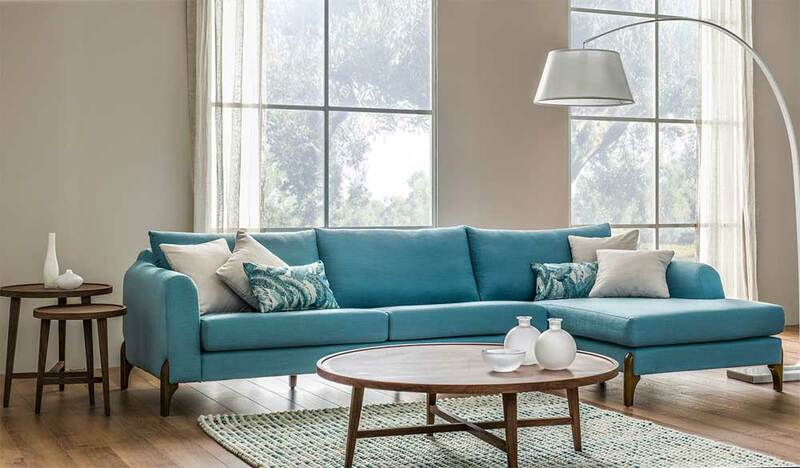 After reading this article, our advice will be to examine plenty of living room models. 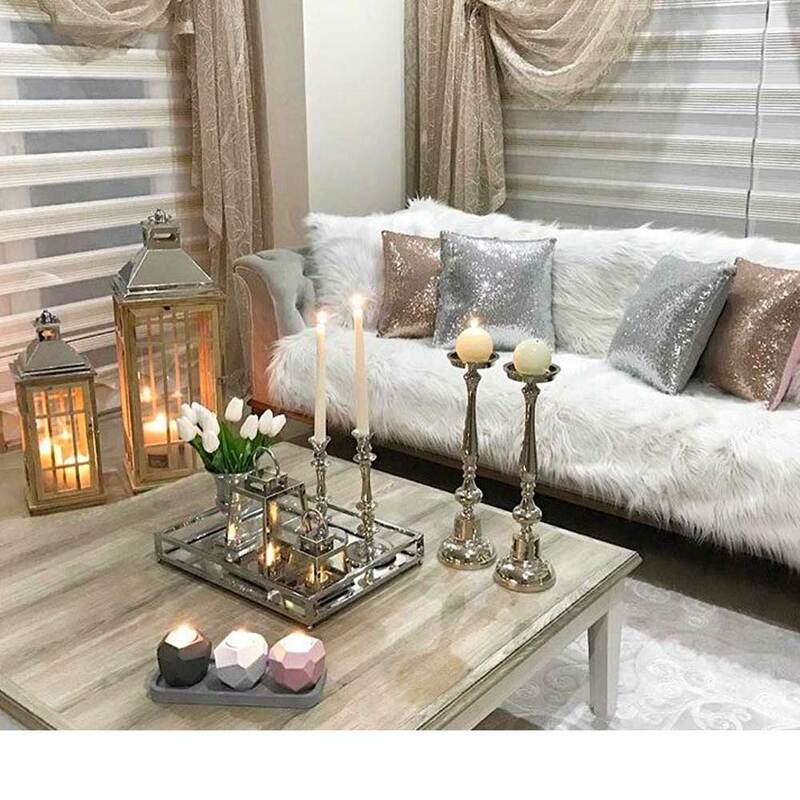 How to Decorate Living Room 2019? 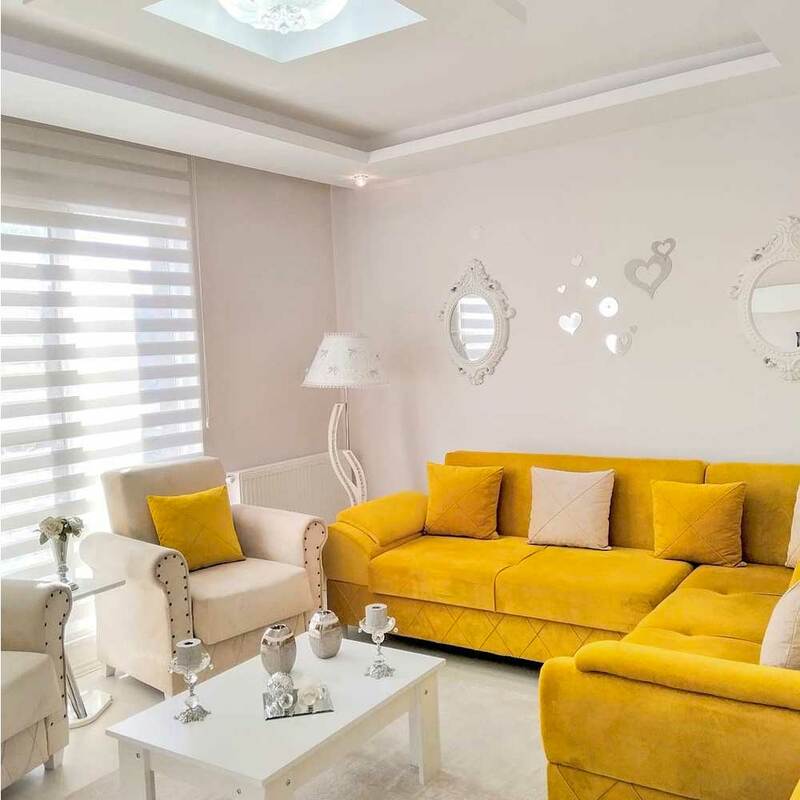 Before starting the ideas, let’s answer the question küçük How to decorate this room and how it should be? Küçük with 3 small titles and let’s make a little introduction. 1. You can think of this as giving depth to a photograph. The focus of the photo is clearer and more vivid, while the objects or media that lie behind it have a darker, faded color. This creates a sense of depth. Here’s how we can do a study in our room. In a frame we use shade colors in the background, like putting a vivid large vase of colors in the foreground. Using more lively, vivid colors towards the center of the room and ensuring that the light is concentrated here can help. In the background, applications with less attention can be made. 2. Instead of putting everything you like in the room, it would be better to give a balance to the view in the room. Simplicity, a mobility as well as stasis and a balance. For example, a striped patterned quilt is like a monochrome pattern without a pattern. If both the seat and the duvet are patterned there will be confusion and the balance deteriorates. Another example is that you should place a fabric without a pattern in front of the wall covered with a patterned wallpaper. 3. As we said before, this room should have a spacious atmosphere, you don’t want to spend time in a gloomy place. 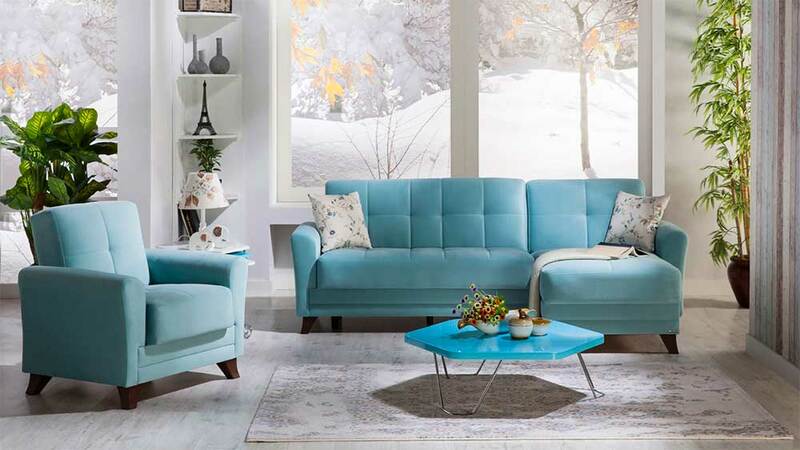 Therefore, you should use pastel, soft and light colors throughout the room. Will there not be vibrant and eye-catching colors? Of course you will, but you will use them less. 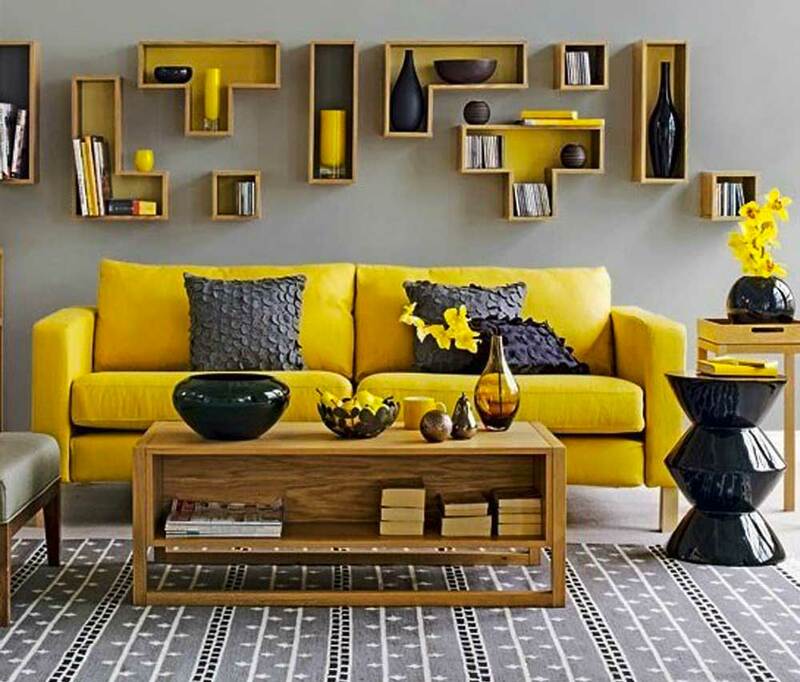 These vivid colors will dominate the room and come to the fore. Let’s answer what the color should be. Leave the clichés of your mind aside for color matching. First, choose your favorite color. Do not rush to select side colors and create a color palette. The best thing you can do here is to visually examine the sample visually. 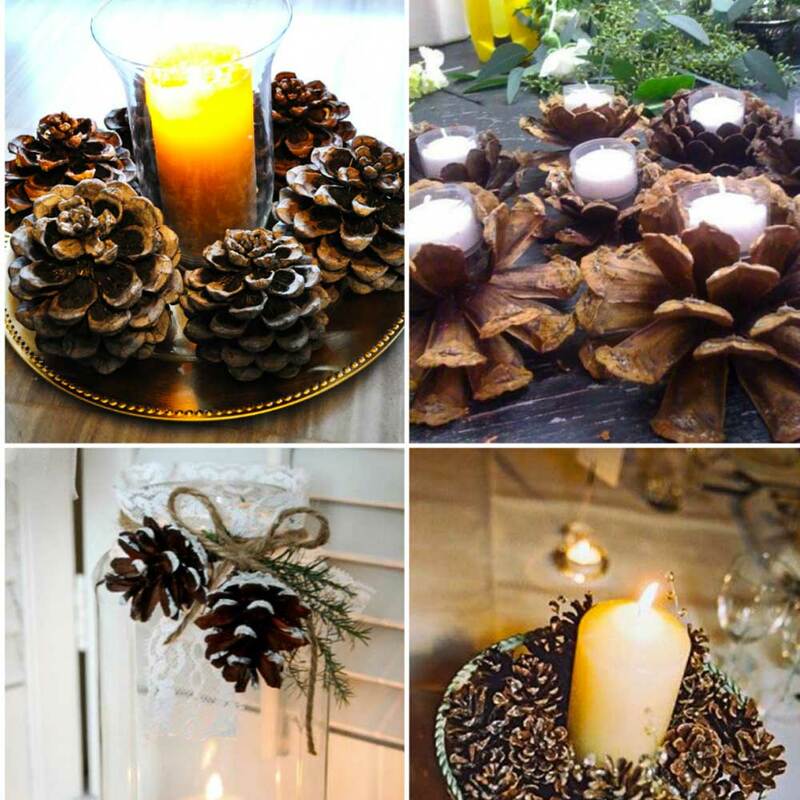 The world’s most beautiful and most beautiful decoration photos and examples are on the pinterest site, you can try to use. 4. 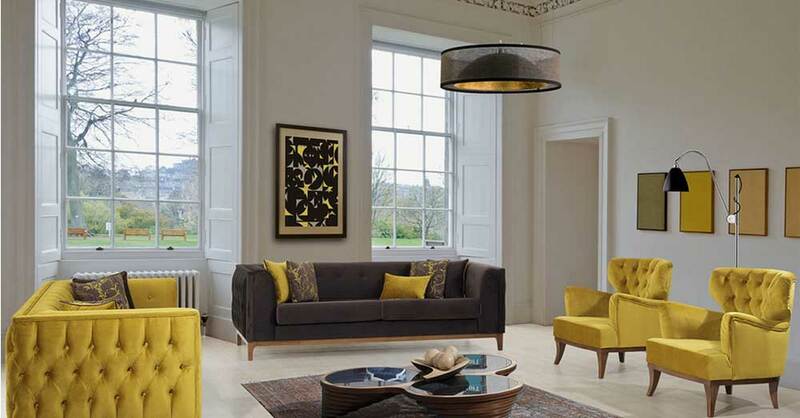 Furniture is the first to reflect the general decoration style of the room. 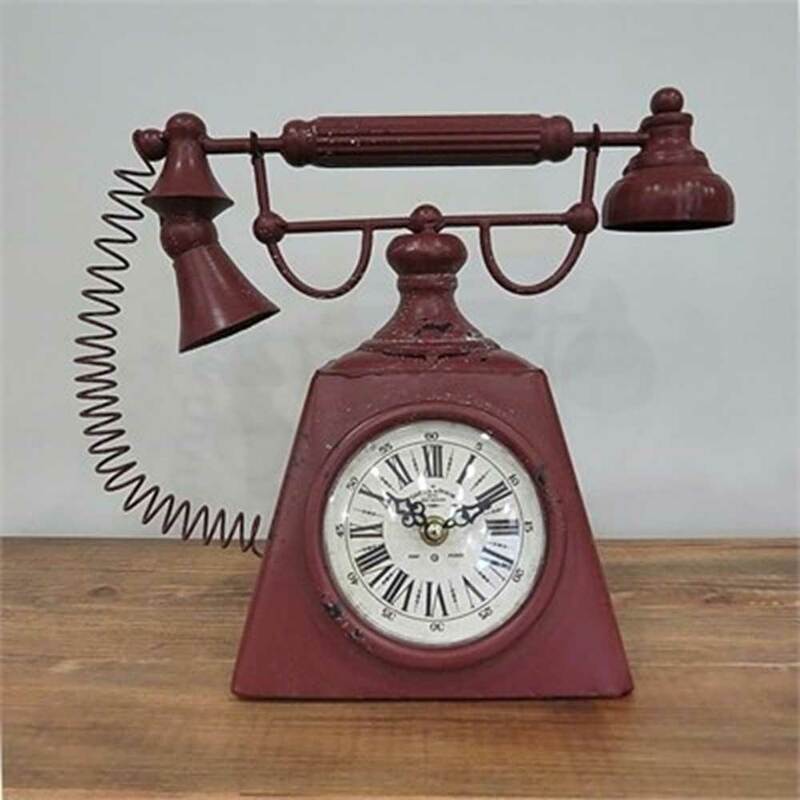 Classic, modern, minimalist, country, nostalgic or vintage iz If you decide which style of decoration, style, you should make this touch with furniture first. 5. The living room is the one we use most often in the house, a room we have been in for a long time. So it is very important to be usable and comfortable. We should not forget this in our furniture preferences. 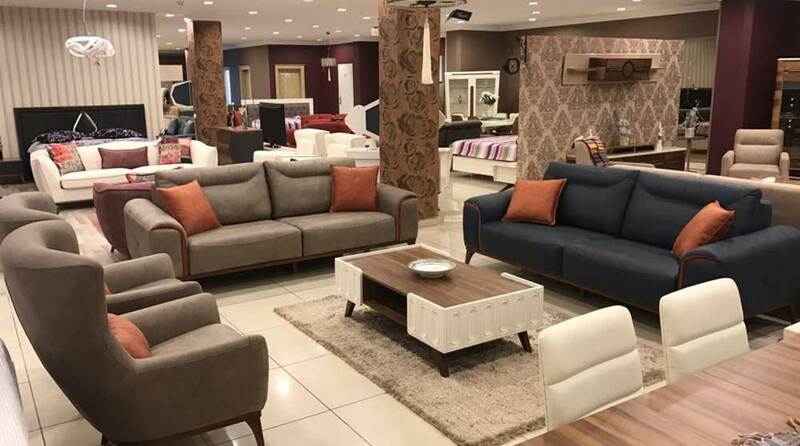 When choosing furniture in the style and decor we want, we should also be comfortable. 6. It would be wise to choose easy-to-clean furniture, especially in a room with children. 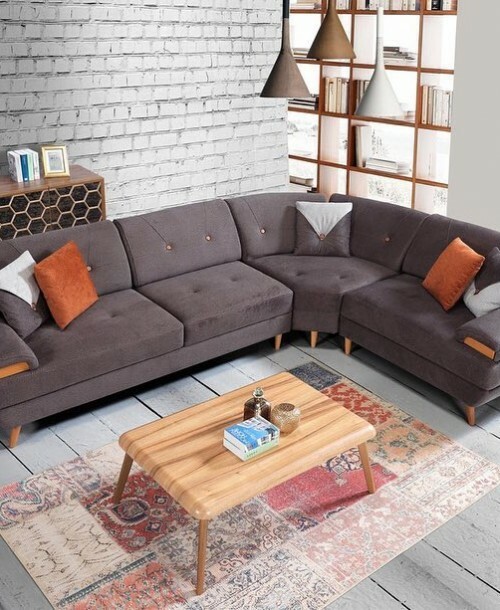 You can choose living room sets and armchairs that are easy to clean, the underfloor can be washed, and the undercoats are easy to clean. 7. Width in the room is necessary for spaciousness and decoration. So you do not have to use as 1 triple, 1 double, 2 also berjer seating groups. If you’re going to narrow the room, you’re taking the seats off. 8. In the middle coffee table, the coffee table is passed as foreigners. 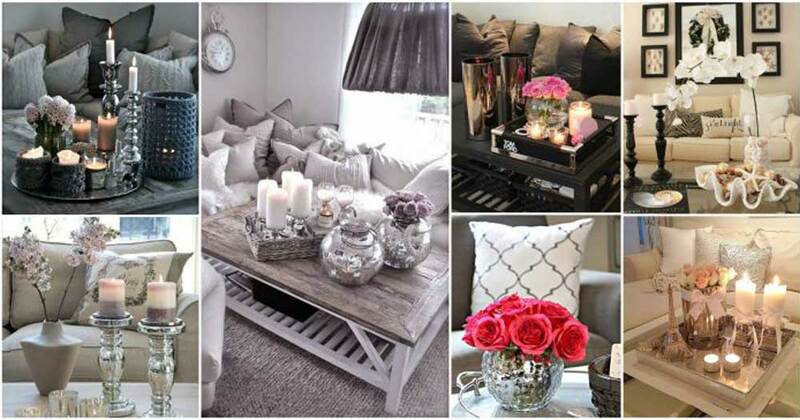 Using a middle table can make the room useful, as well as a new space for decorative accessories. The choice of the middle table is important, this object, which stands in the center of the room, must reflect the general design, must be a special design, must manifest itself. 9. You can choose to use a corner seat. The room will look more spacious and will also have a nice decor. 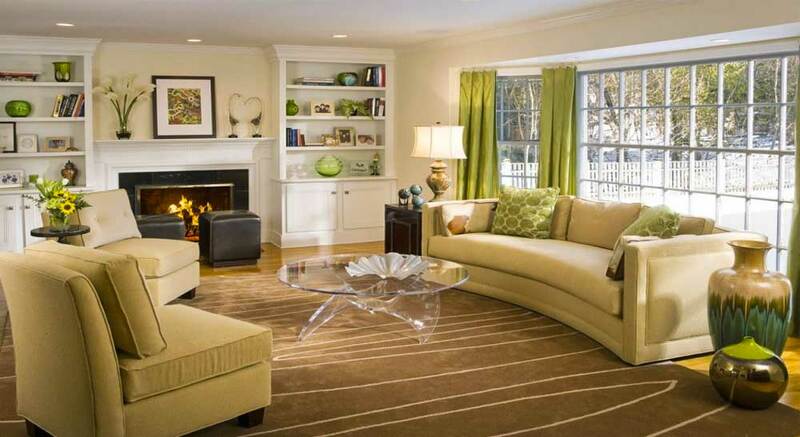 They are often preferred for the latest living room designs. 10. You can use colored floor mats on one side of the room. 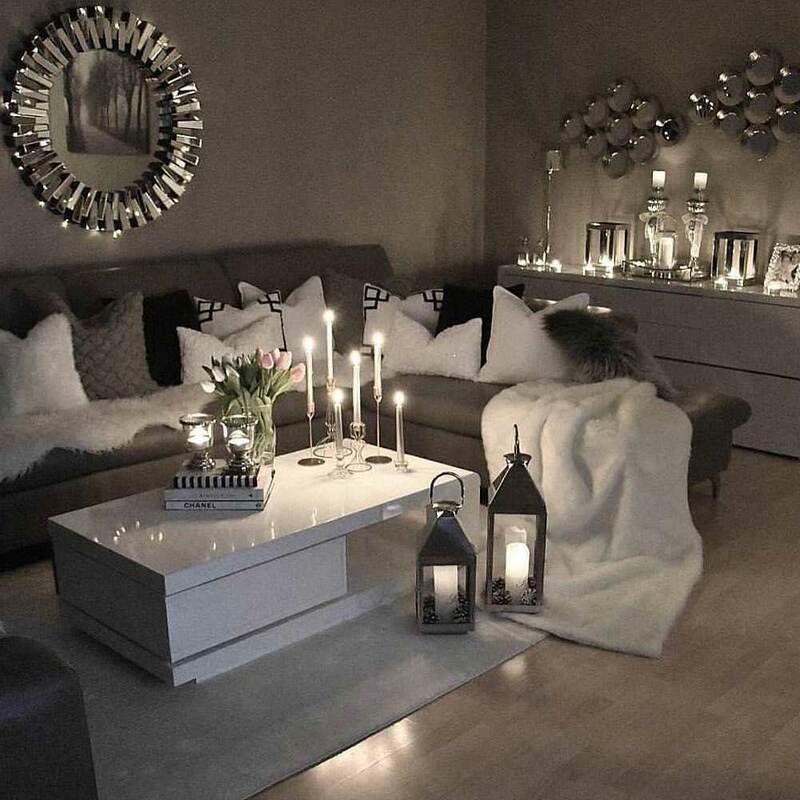 You can decorate this area with more comfortable, nostalgic objects and candles. 11. You can use small soft pouffe seats to complement the sitting group. Puffs can be in different colors but in the same shades. 12. 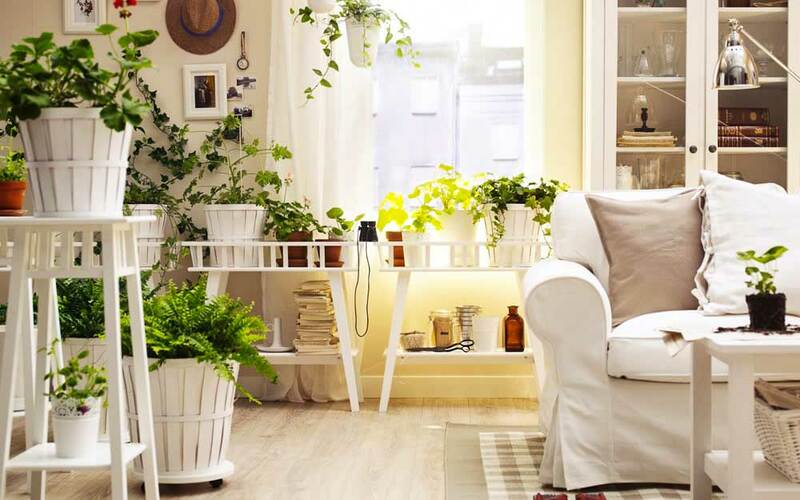 Will you be a little different but have you tried to use no chairs in the living room layout? 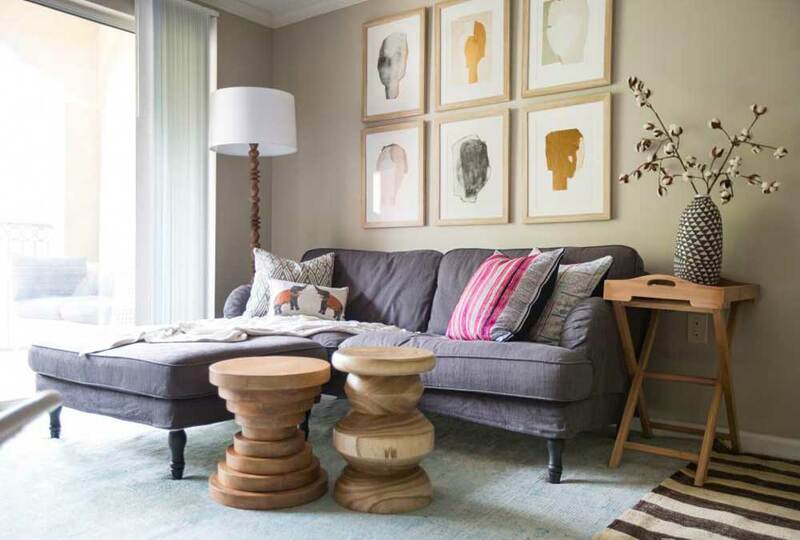 Instead of barbers, two large chairs with vintage design can be placed in a corner of the room. Cushions with colored, corrugated pattern can be used. In the middle of a nostalgic coffee table and live flowers on it. 13. 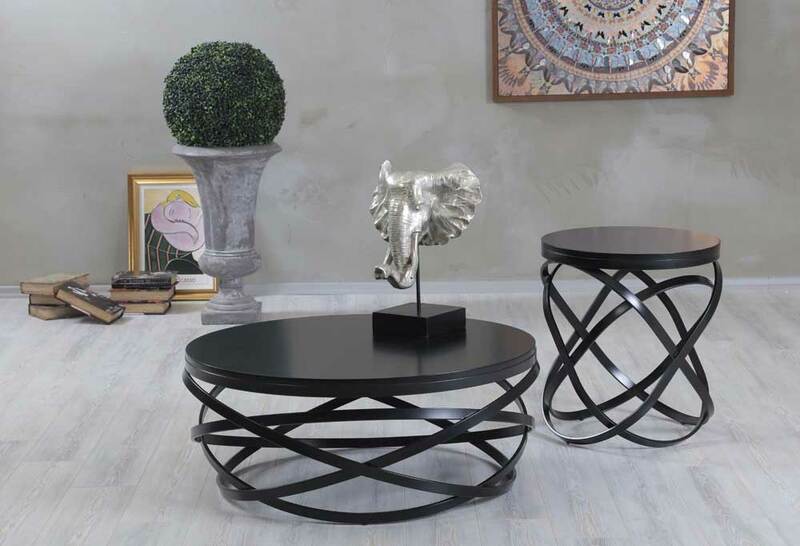 Black iron-footed coffee table, middle coffee table, shelf or chair is also a nice option to use. 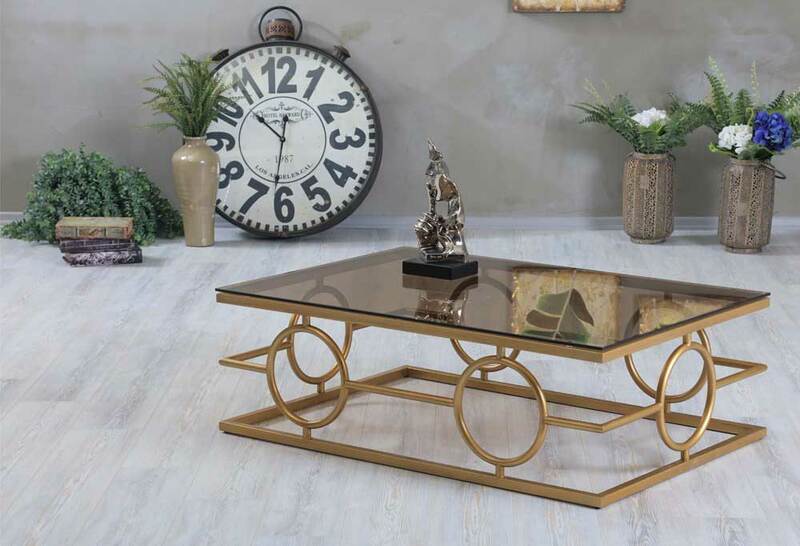 In addition to other large objects with rounded lines in the room, this kind of fine furniture will create a pleasant appearance and balance. 14. In order to give the room a rich look, the library is a must. For example, you can design a wall as a library. Of course, do not fill all the shelves with books. This section also includes television and ornamental accessories. 15. You can use several long and slender libraries in the room at the same time. 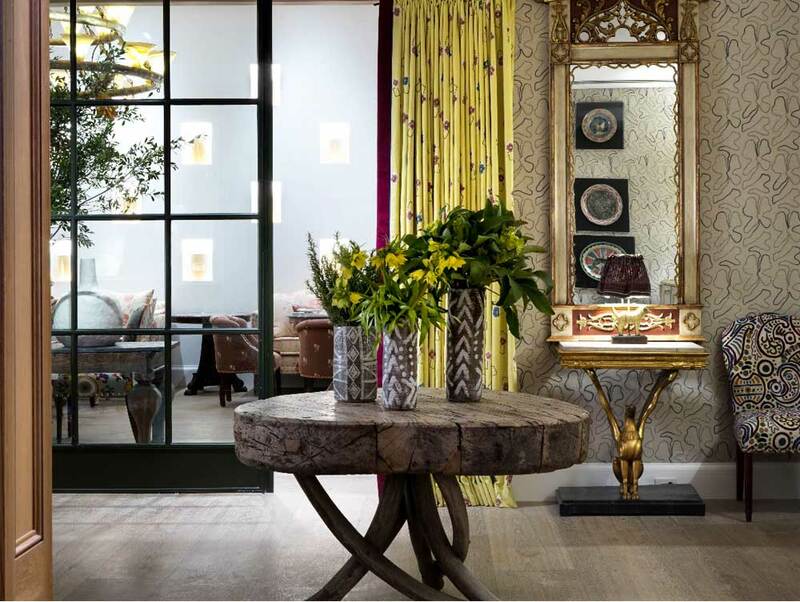 In this space with many different objects, using such similar objects in the room will give a complementary look. 16. 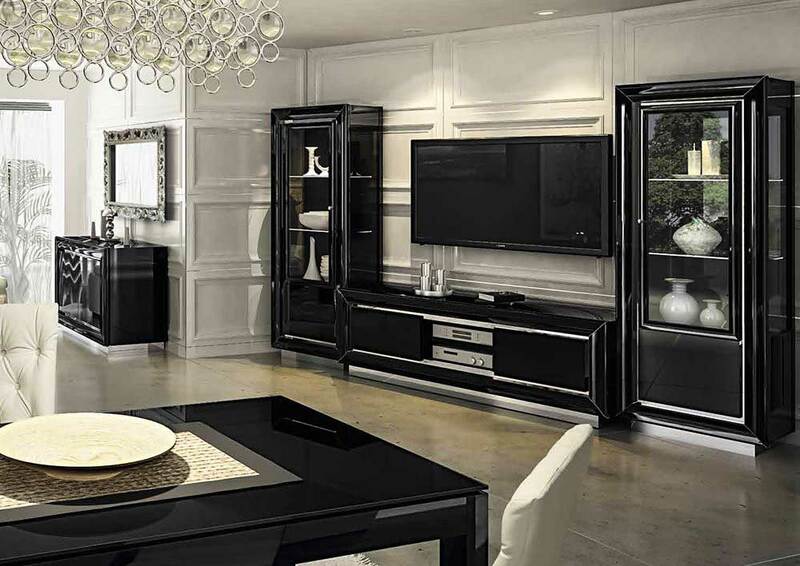 If the room is small and the space is limited, you can use a beautiful, elegant design with a beautiful TV stand. 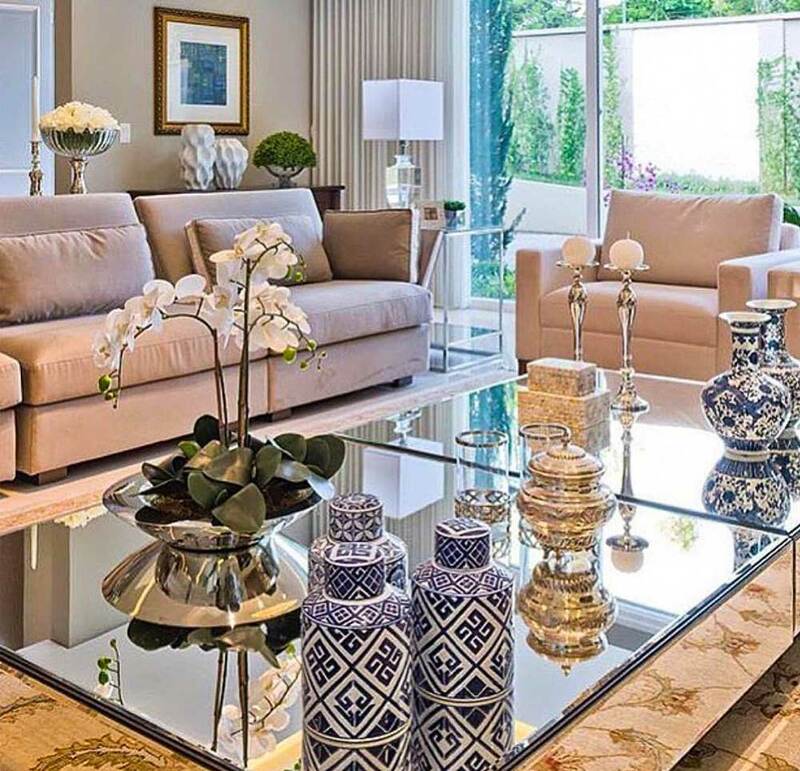 Near the ground and next to this short table, long and thin vases or decorative ornaments can take place. So you get a remarkable look. 17. 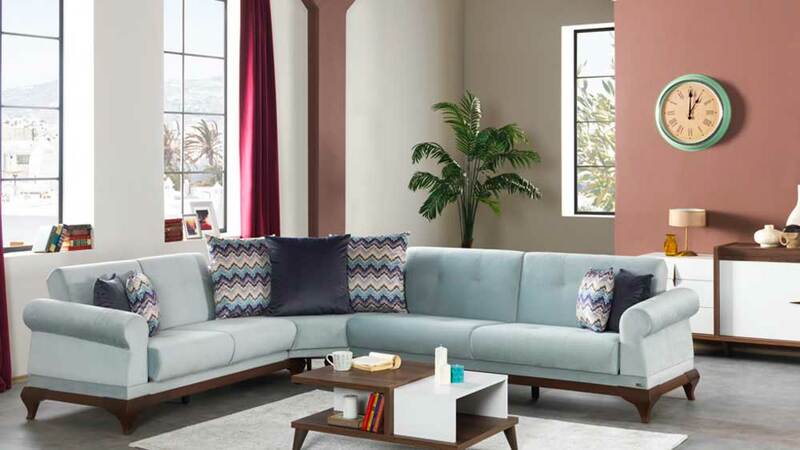 In addition to the cushions of the sofa set, you can use pillows and pillows of different colors and sizes in the room. 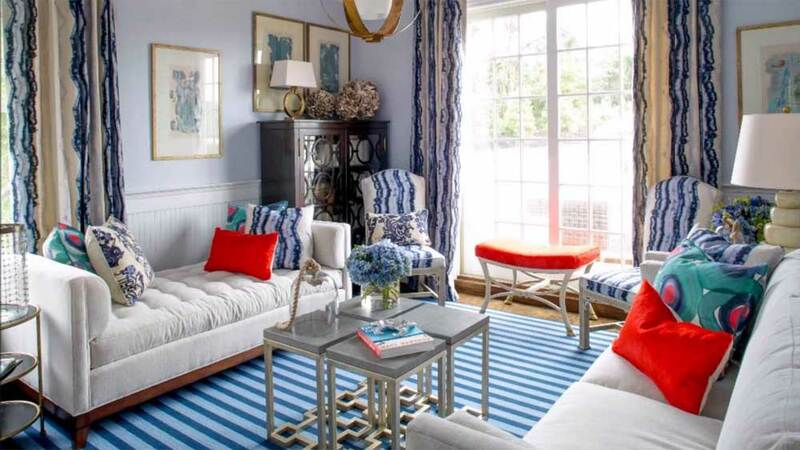 If you have a simple décor in general, it will be a good option to bring color and movement to the room. 18. 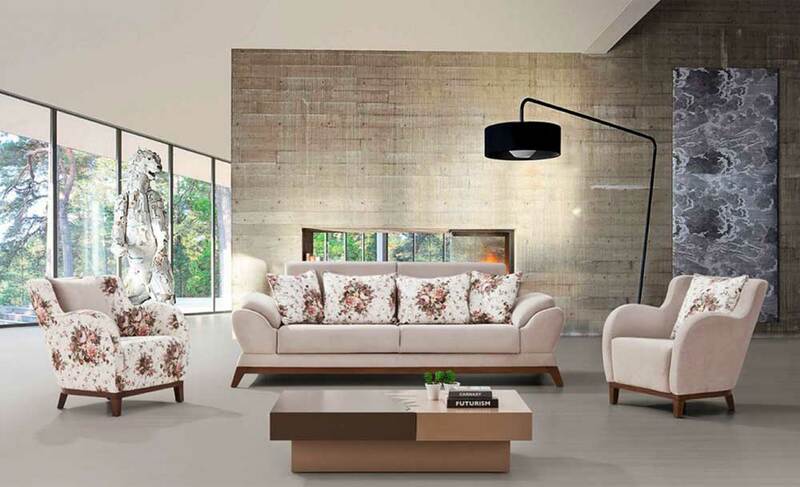 You can use the wooden coffee table and the middle table or cupboards in addition to the modern designed sitting group. Wood appearance will be very intense in the room. Instead, you can prefer some furniture in wood. 19. You can choose to use glass showcase according to the architecture and decoration style of the room. 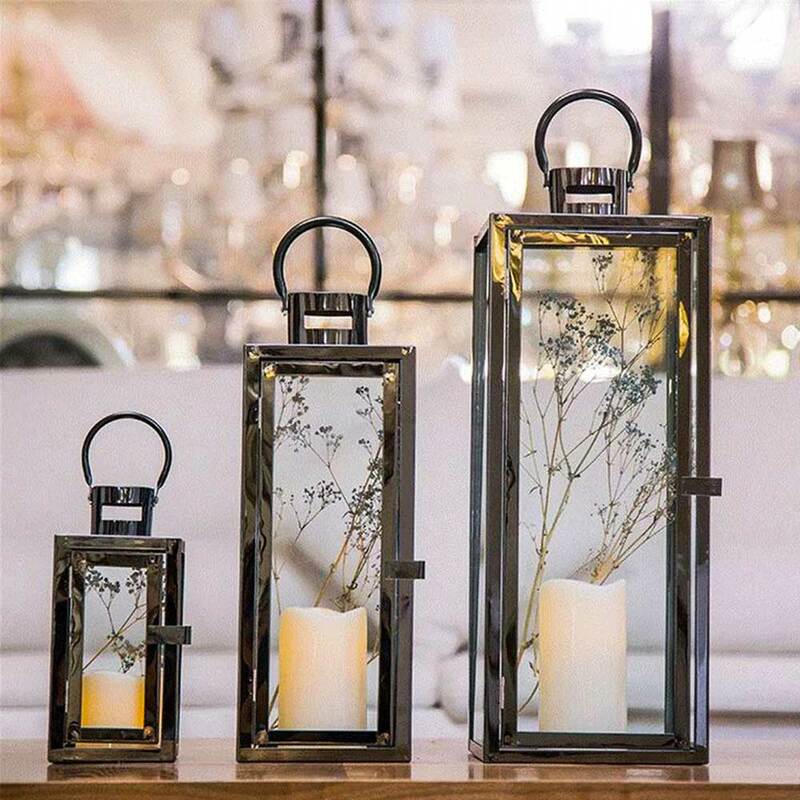 Imagine that you are using the most elegant decorative objects, trinkets or accessories in a fine elegant display case. It’s not a hall, I hear you say. It doesn’t matter from a single showcase, it’s good to make a little difference. What is important is the integrity of the overall design. 20. 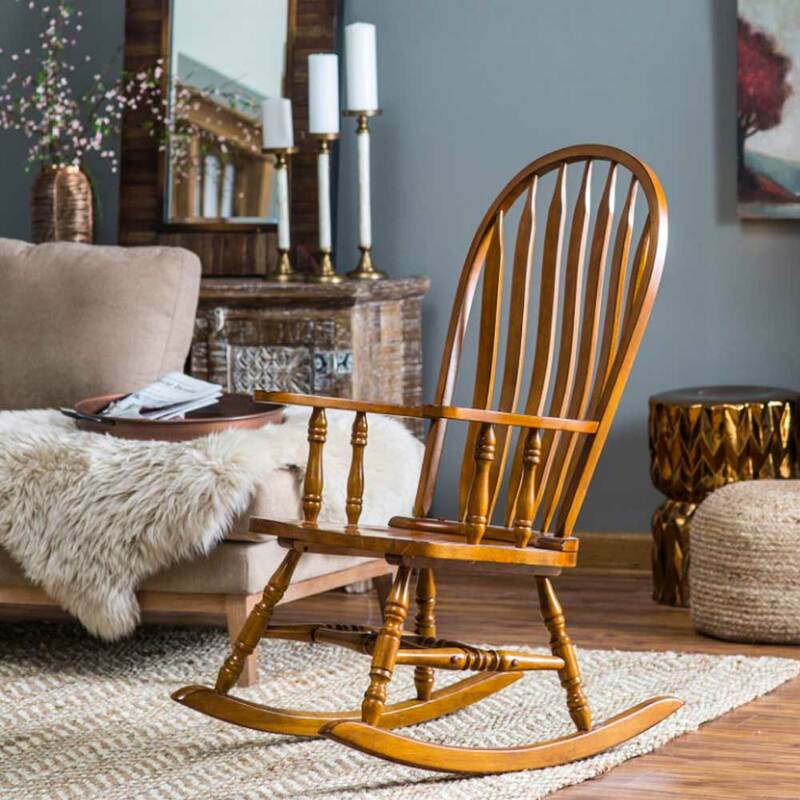 It can also be a good idea to use a rocking chair with a pleasant design. You can put it in front of the sitting group in a certain point of the room. It will add an elite feel to the design of the room. 21. 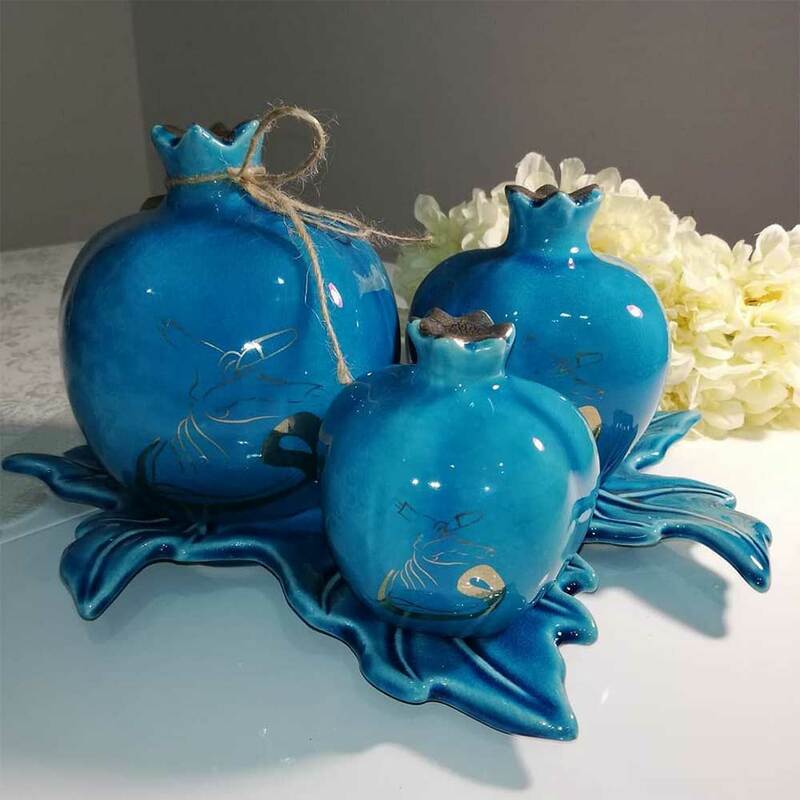 Let’s start with the most commonly used vases. To the sides of the seats, you can put long thin vases on the edge of the TV unit. 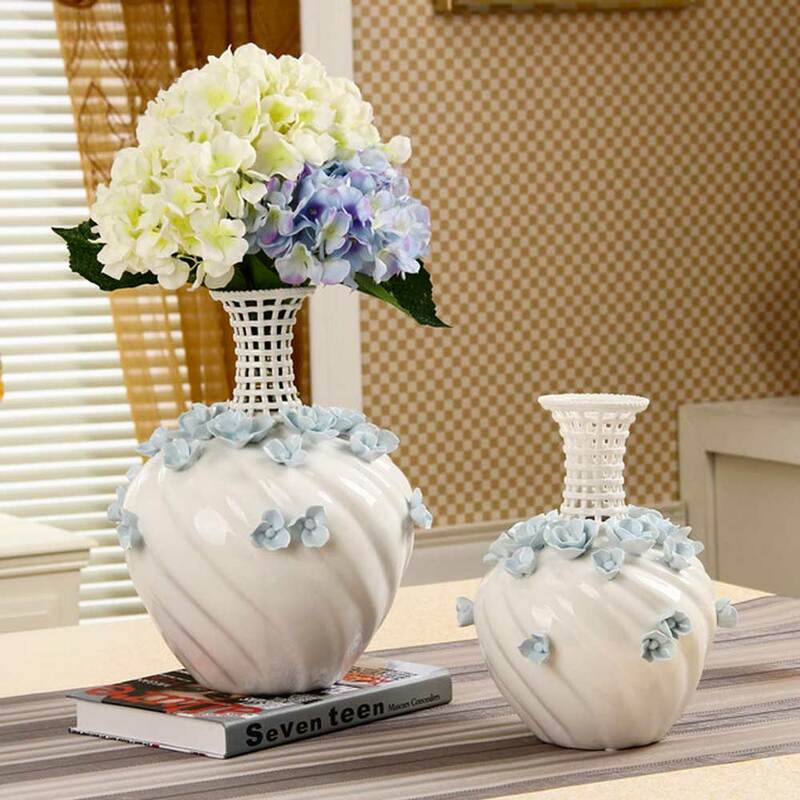 You can create several vases side by side and create a distinctive decor. 22. 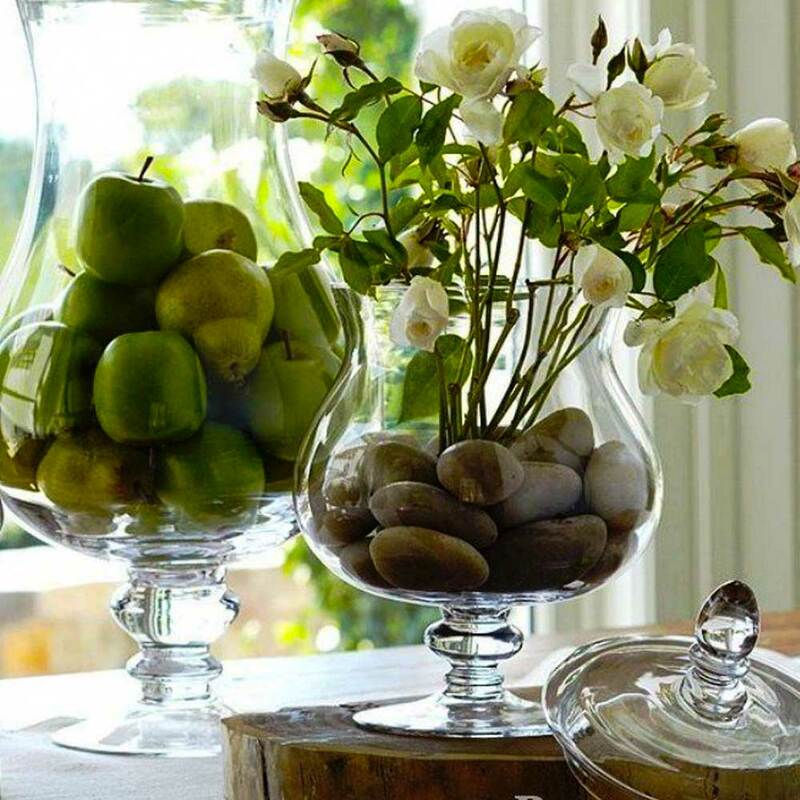 Place small vases on the middle table and place beautiful flowers in it. 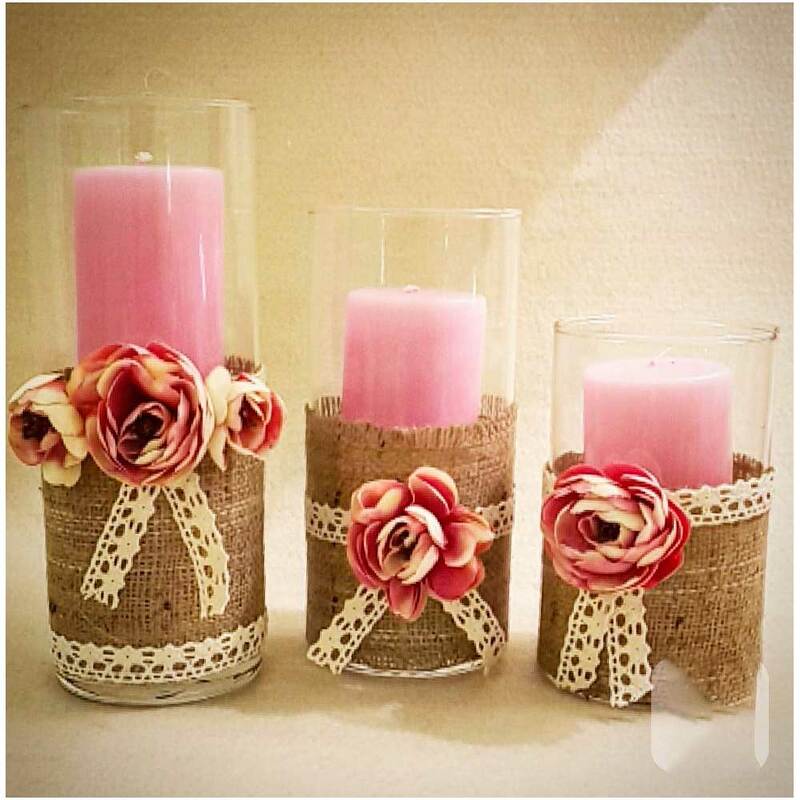 Small vases of different styles can be found on the side tables. 23. There is a bowl in the middle stand and natural objects such as dry leaves, cones and bark. You can make this choice according to the decoration style of your room. 24. 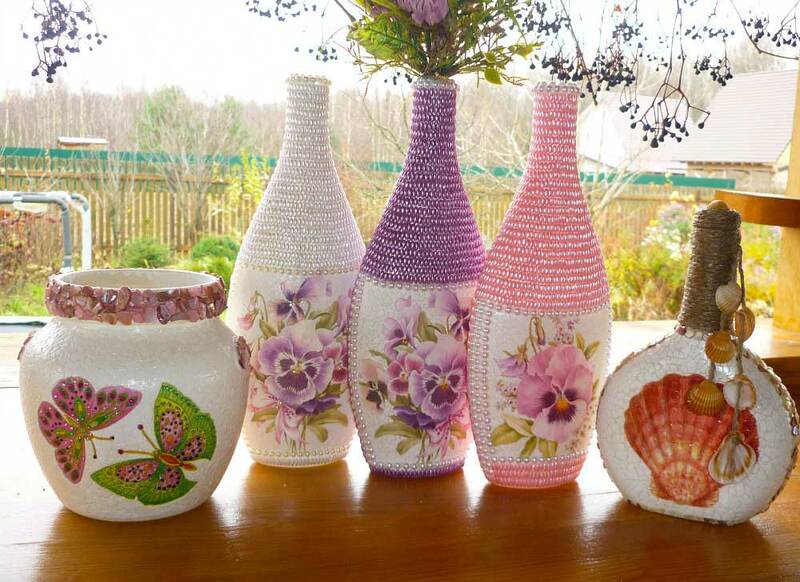 Pour the pebbles into small glass vases, and place seashells in the stones. 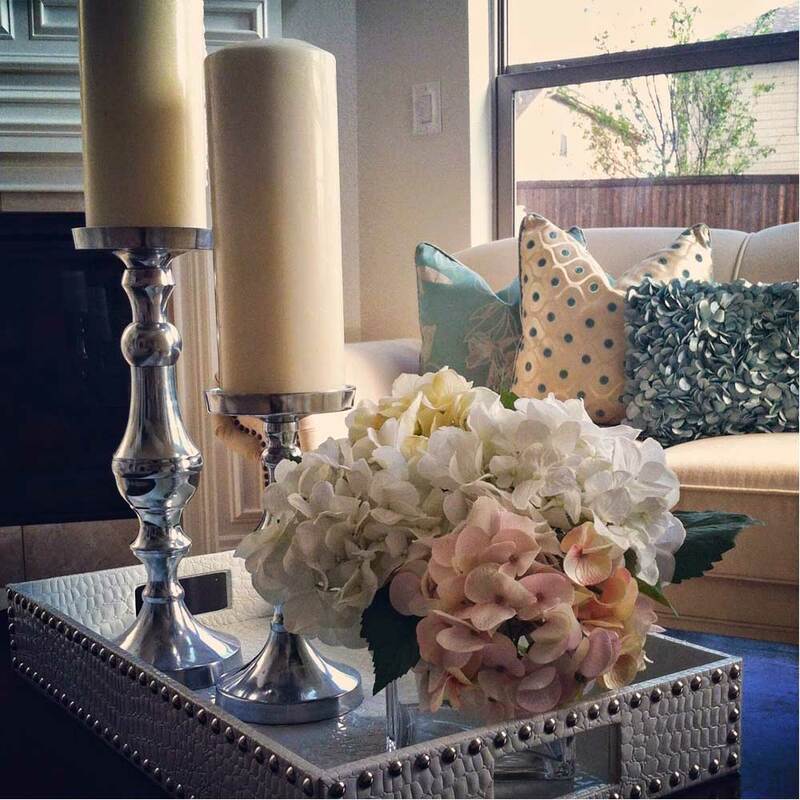 In this way, place three vases on the coffee table or on the shelves. 25. Fill a glass bowl with medium sized evil eye beads in the middle table. Blue blue beads will attract attention and add color to your room. 26. Making flowers or making trees located in small baskets will look very nice. You can use them on bookshelves or coffee tables. 27. The ancient earthenware can remain in a corner of the room. The ivy branches can hang from the mouth of the cube. 28. The baskets will add a whole new touch to your room. You can use baskets of different sizes and different colors. The interior can be covered with colorful and patterned fabrics. It can be found on the baskets with a belt and a wad. You can place a large basket on the floor, on the seat seat, and place newspaper or flowers in it. 29. 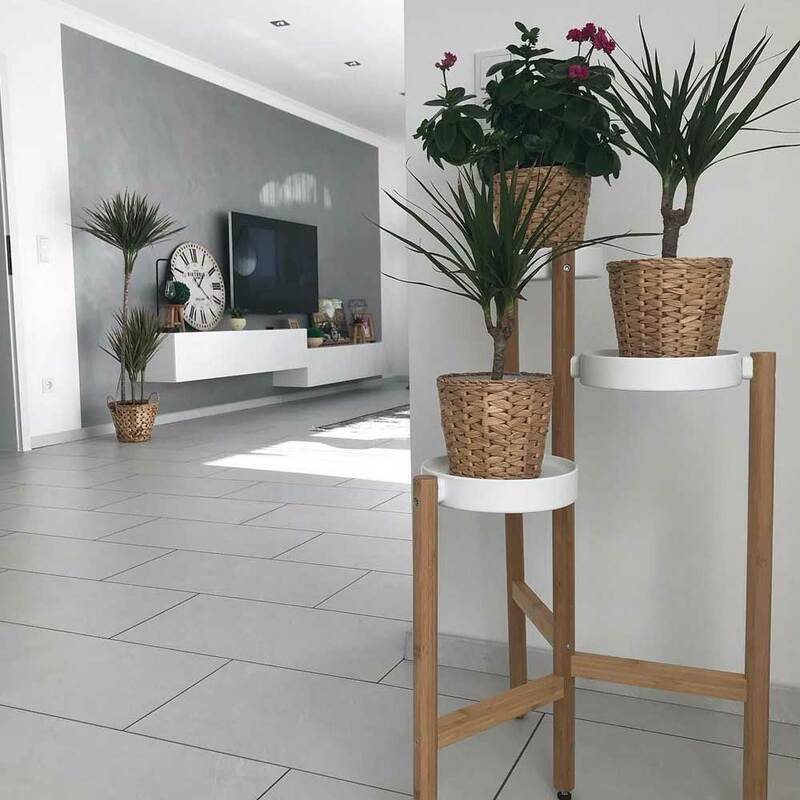 In large pots standing on the ground, they can be large hall plants that extend almost to the ceiling. It can’t be better to give the room a green look. 30. You can only fill the shelves that stand on a wall of the room with pots. Small can be numerous pots and colorful flowers on it. 31. 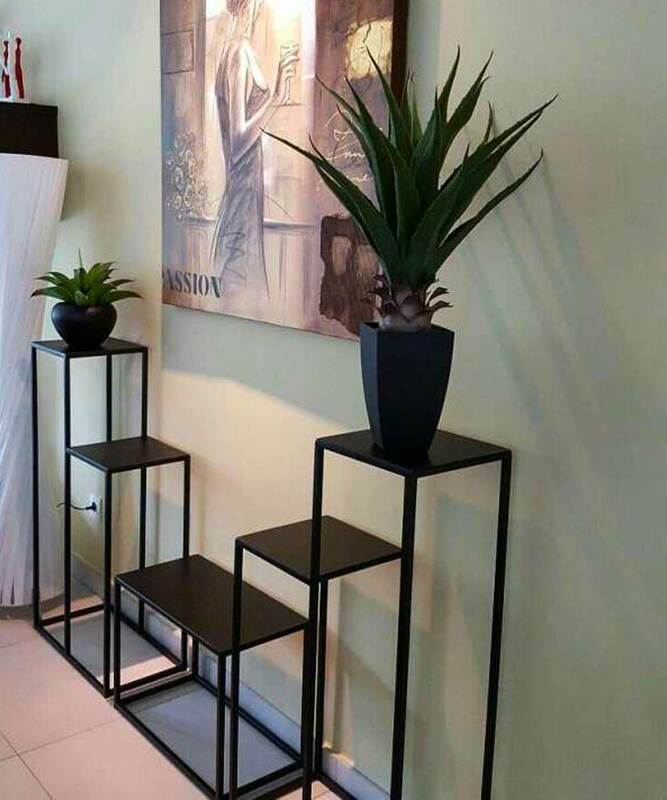 Instead of small cacti, a huge cactus in large pots can add an authentic feel to your room. Of course, if you have children at home, you should pay attention to the use of cactus. 32. 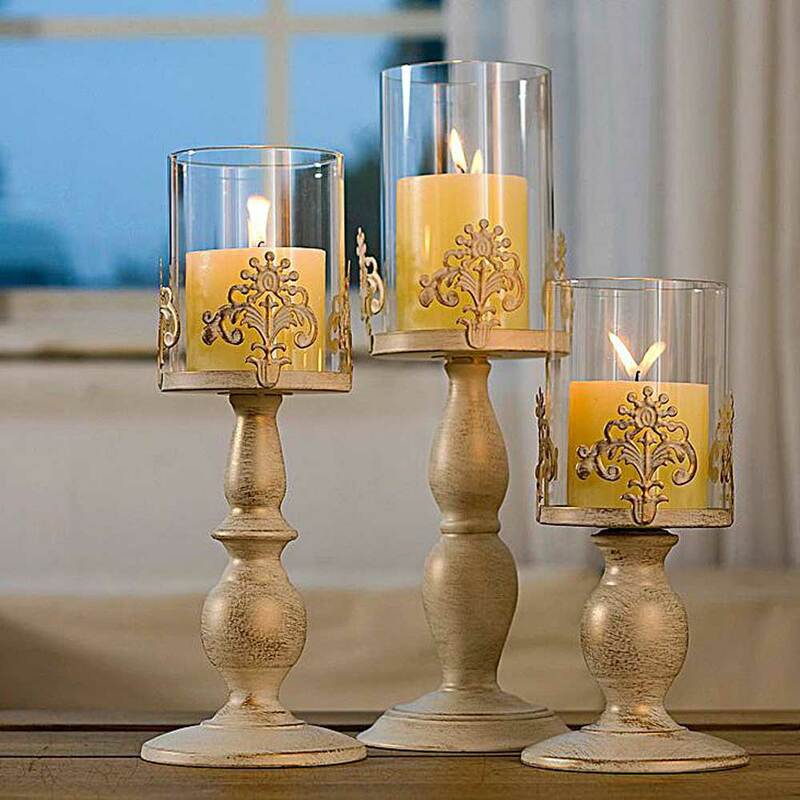 Using candlesticks is a great idea. Beautiful candlesticks with authentic design, standing on the middle coffee table. 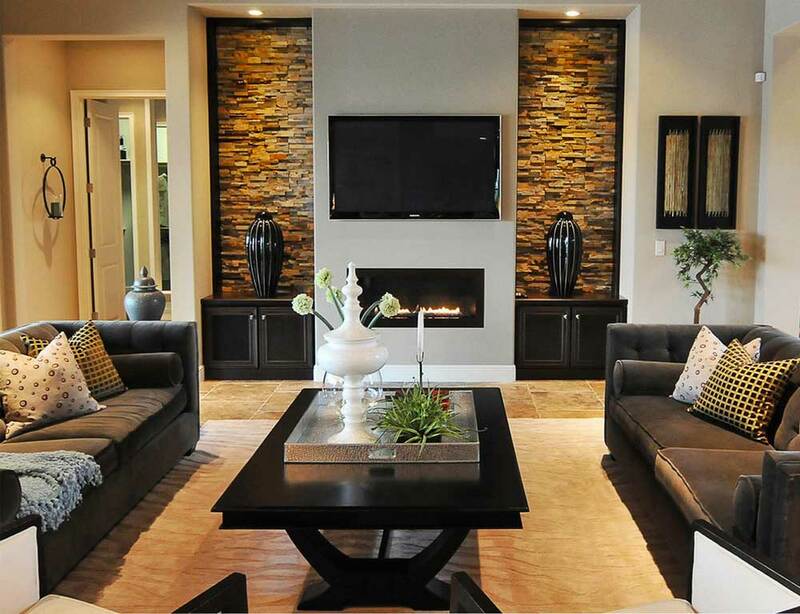 Or the long candlesticks on the floor will add a nice air to the room. 33. A huge tree stump can stand in a corner of the room. The tree colors will give the room a warm air. You may consider placing a log on the seat edge instead of the side table. 34. Books are also used for decoration. You can keep up-to-date books on the coffee tables. Or cover beautiful, thick-bound, old-style books and decor applications can do. 35. Old-style, vintage cans can decorate your room. You remember the sewing boxes of the ancients. In this style, you can use metal boxes with motifs in your room. 36. In a corner of the sitting group can stand long-haired plush pique or blanket. Or such an application can be made on one side of the berjers. 37. Live flowers should not be forgotten. 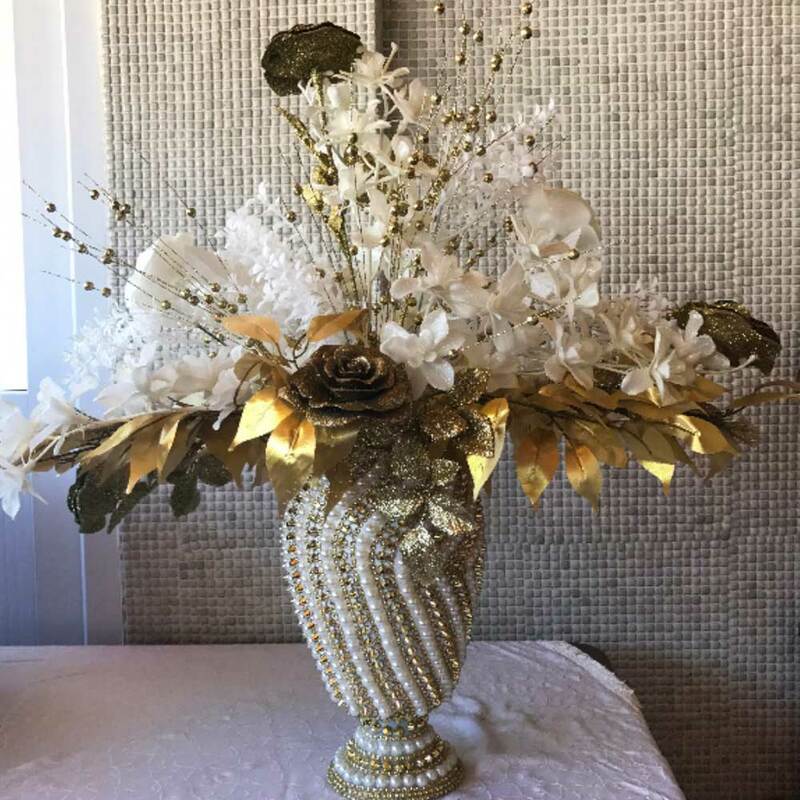 Vivid flowers that will always add a wonderful air to your room can be placed in decorative vases. If you prefer flowers such as roses, lavender, lilac and daffodils, your room will smell like misery. 38. Place picture frames on the stands and shelves. 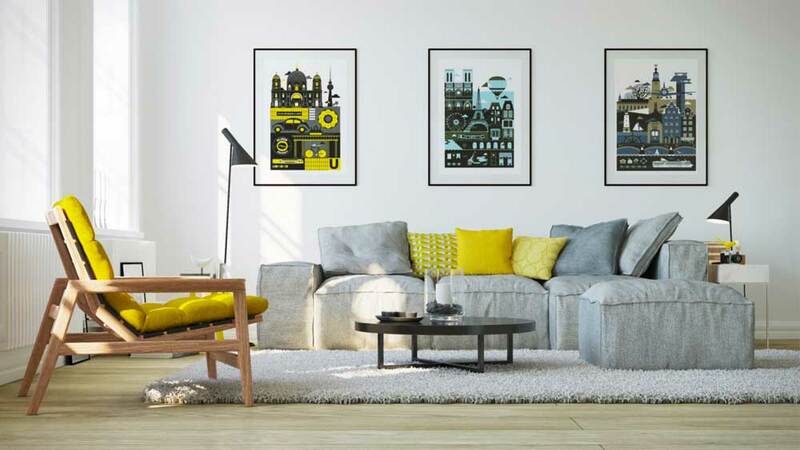 The designs of the frames are compatible with your room. Whether you want family photos or nature photos in the frames. 39. You can also use the kitchen objects to decorate the living room. For example, you can display giant cups on a shelf or keep them on the middle table. 40. It is also a different technique to use the same accessories in sequential or similar sizes. It’s like having three identical pots on your side. Or like the little ones with the big one. 41. A huge desk clock can be found in your library. 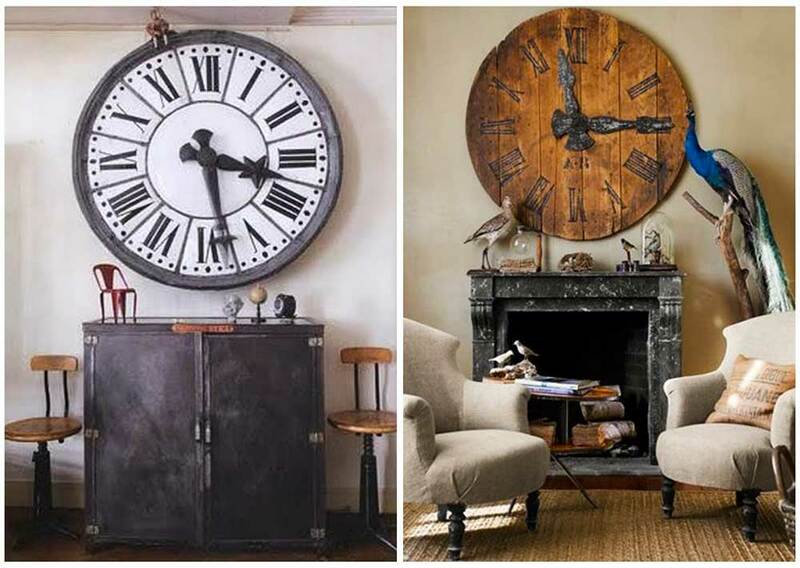 Or a table clock with a nostalgic design can be found on small tables. 42. 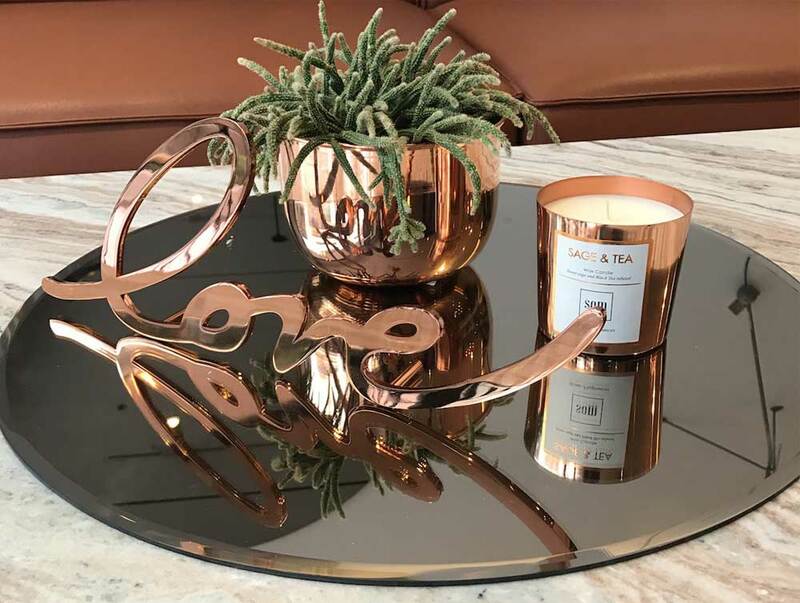 If it is compatible with the room’s decoration style, you can use copper objects. A new color will come into the room and a different air will be created, it is important not to exceed the dosage to use it. For example, a copper vase, decorative ornaments made of copper. 43. Sometimes it may be nice to use accessories that match the style of the room. 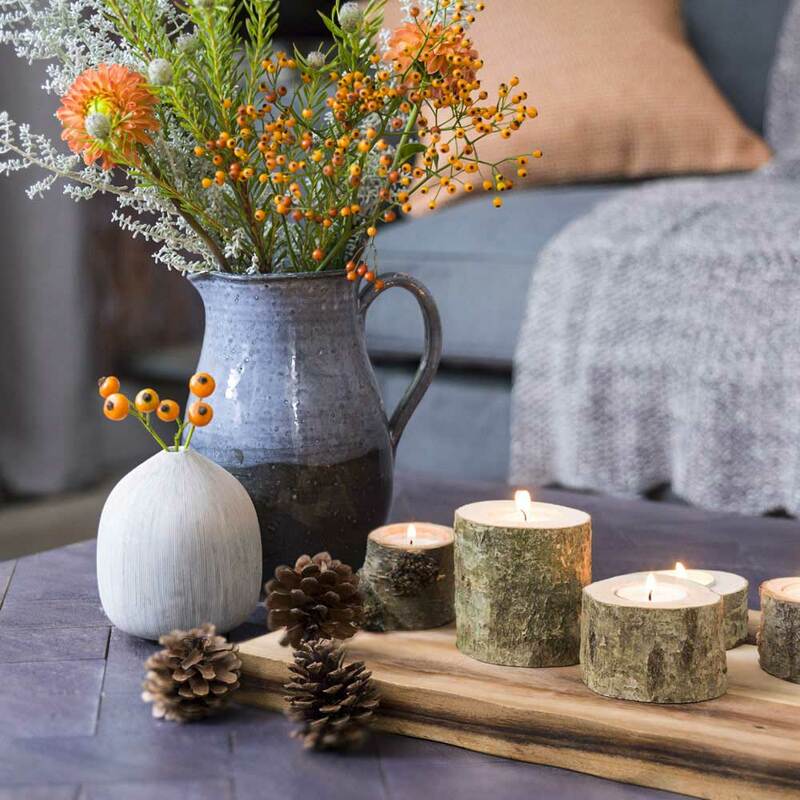 In a room with modern and contemporary lines, you can use tree and branch pieces or ornaments made from tree bark with interesting shapes.